Walk into Bev Parris’s back garden in rural Devon, past her raised flower beds and it quickly becomes clear what she does for a living. 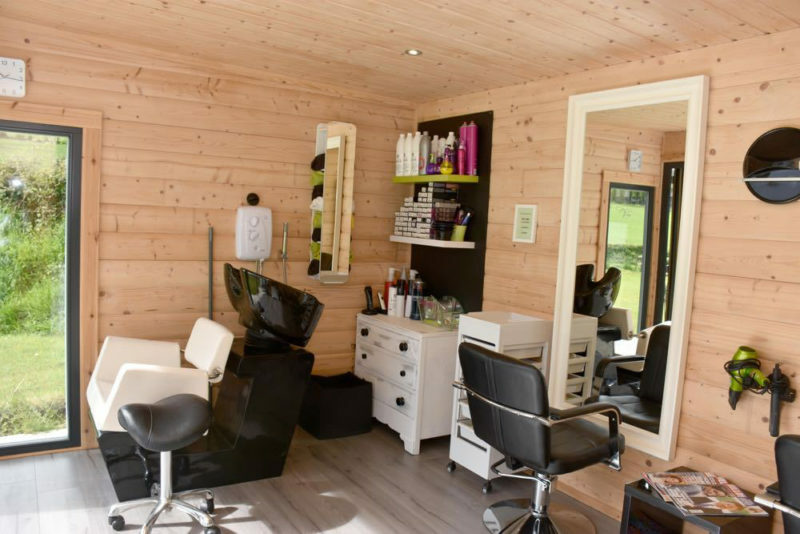 Tucked away in a smart solid log garden building is a fully kitted out hair salon. Not your average find amongst herbaceous perennials but one that has transformed how Bev lives and works. As a young Mum and trained hairdresser, Bev had always dreamed of owning her own salon. When she had her first child, she found she was spending most of her earnings, from renting a chair in a local salon, on childcare. She also deeply resented the time spent away from her baby son. Many in her position decide to work freelance but find themselves washing clients’ hair in kitchens, not something she wanted to do. 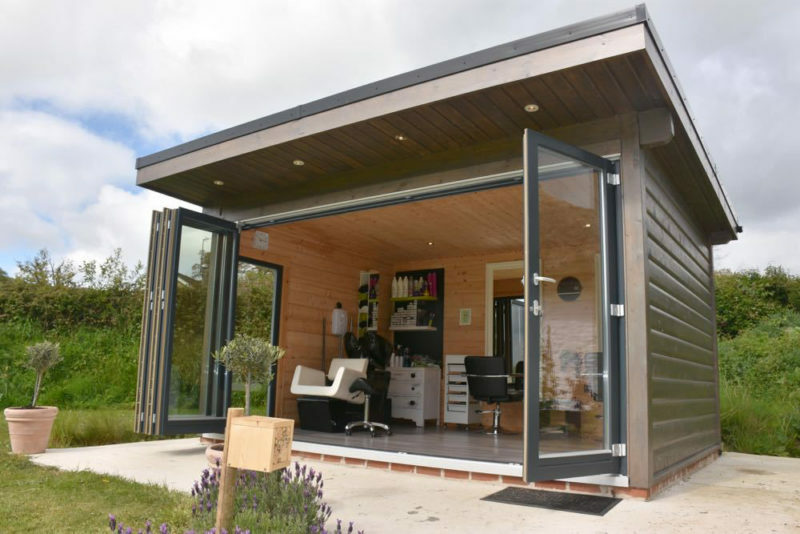 “We live in a remote village and have quite a big garden so it made sense to look at a garden building to house a home salon. My brother lives in a log cabin built by Norwegian Log Buildings, so I know how good they are. We drove up to Reading to see the company’s display buildings, walked into one of them and knew straight away it was what we wanted. 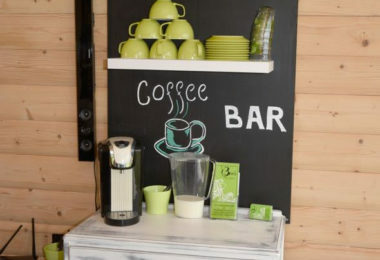 They look and feel so smart,” explained Bev. 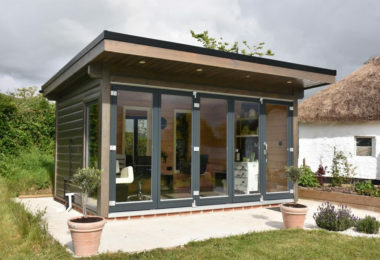 Once ordered, the contemporary style 3m x 4m garden building took just four days to erect on site. 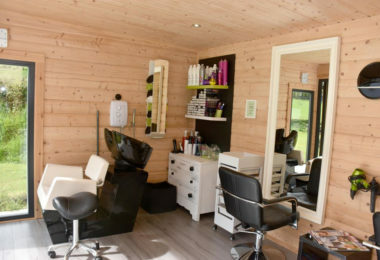 Now kitted out with two comfortable cutting chairs and mirrored work stations, a backwash basin for hair washing and a colour bar, the salon is a hairdressing oasis. 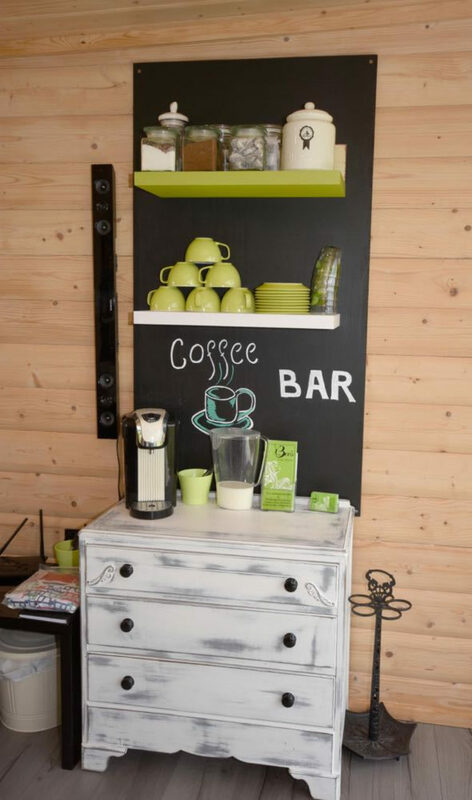 It even boasts its own coffee bar. Clients can relax looking out through the bi-fold doors into Bev’s back garden and the fields beyond, and the rural location means there’s loads of space for them to park. The grey-hued solid log building with sloping roof fits well into the landscape. “Our house is a white thatched cottage and the building blends so nicely with it. All my neighbours love it,” added Bev. Fitting then that the name of Bev’s new business is – Bev Hair Design in the Garden Room. You can’t top that. 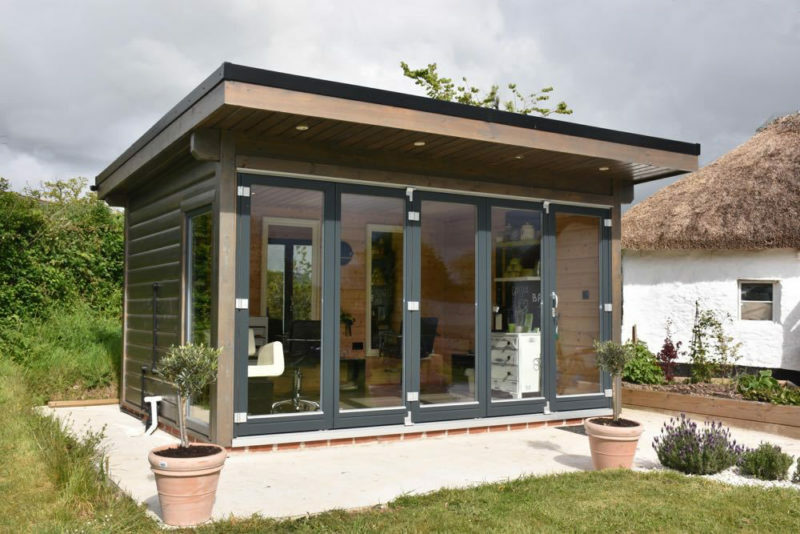 See the full range of our beautiful garden offices and find out about pricing and optional extras by viewing our garden office brochure here.